Philosophy that keeps you awake! More than 1800 visitors at the third Long Night of Philosophy in Zurich. On the occasion of the UNESCO World Day of Philosophy, the Long Night of Philosophy took place on 15th November this year for the third time. Forty events in diverse formats and at various locations kept the audience awake and aware quite late into the night and showed how different the access to philosophy can be. Certain events such as “Platon for Digital Natives”, “Philosophizing with Children”, “Philosophy as the Art of Living” or “The Body of Artificial Intelligence” attracted a particular big audience and also invited the visitors to reflect and think further. From 9pm onwards, visitors and organizers met at KOSMOS to get to know each other better and discuss. A highlight at the end of the evening was the live interview with the neurobiologist Professor Dr. Gerald Hüther on the topic: ‘It is about our dignity!” as well as the raffle with over 200 philosophical gifts. As diverse as all the different approaches into philosophy were, so varied were the visitors, too. They proved that philosophy knows neither age, nor technical nor educational borders.” It does not matter whether the impulses arise from philosophy, art or science”, Michael Hofer, the organizer, describes the intention of the Long Night, “it is important that they keep us awake – against intolerance, ignorance and the creeping narrowing of our thinking”. This was exactly the spirit and the idea of the UNESCO when they brought the World Day of Philosophy to life 13 years ago. 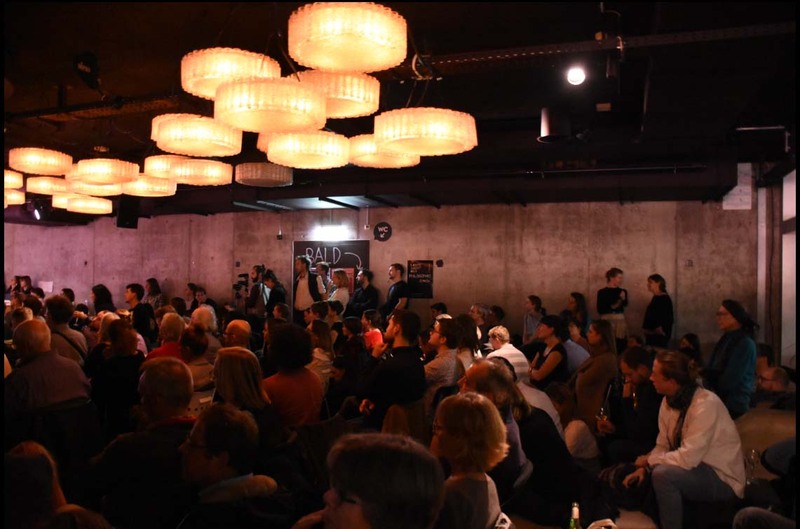 The Long Night was organized by Treffpunkt Philosophie – Neue Akropolis Zurich in cooperation with philosophie.ch. The next Long Night of Philosophy in Zurich will take place next year on 21st November 2019. Find out more at www.langenachtderphilosophie.ch.